Good: Perfect use of VR in a game. 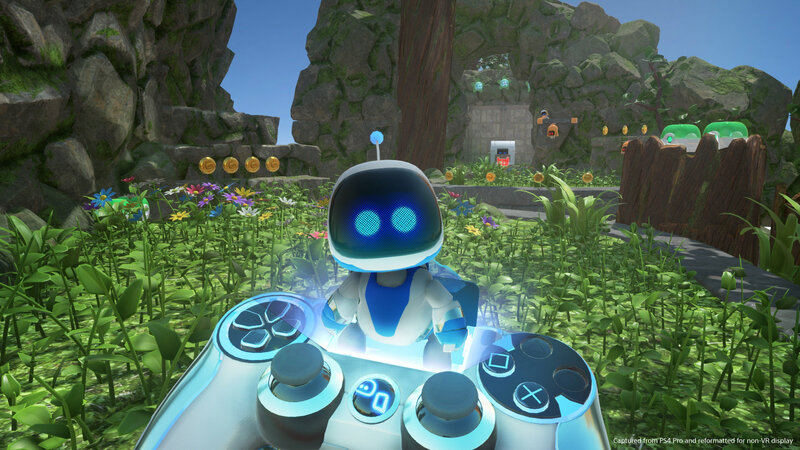 If you have a PlayStation 4 then you might know the cute BOTS from THE PLAYROOM or if you also have a PS VR then you might know them from THE PLAYROOM VR. Well, these BOTS return in ASTRO BOT Rescue Mission. You’ll have to team up with ASTRO to rescue all the BOTS after they’ve been spread all around the universe. 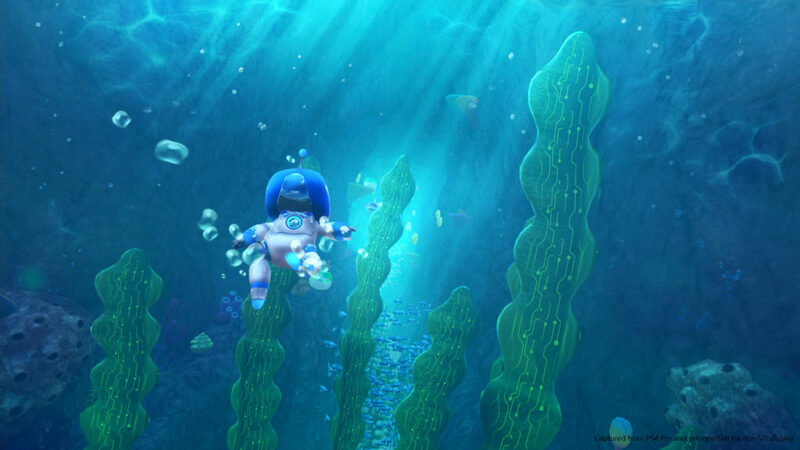 ASTRO BOT Rescue Mission was developed by JAPAN Studio and published by Sony Interactive Entertainment. We got a chance to review the game and help ASTRO rescue those adorable BOTS. There isn’t a whole lot of story in ASTRO BOT but there is just enough to make it clear why you’re doing what you are doing. There is only one BOT left after an alien attacked the BOTS their ship. The last BOT is ASTRO the Captain BOT. You and him have to team up to save all the other BOTS that have been thrown of the destroyed ship. The BOTS are spread around on different planets which all look different and have different huge creatures living on it. Besides the big creatures, there are also small enemies that will try to stop you. So you’ll have to guide ASTRO and work together with him to keep him safe and collect all the BOTS. Once you see the intro story part there isn’t a lot of storytelling left. You know that you’re there to rescue all the BOTS, so much more story wasn’t needed since every planet is interesting enough without needing an extra backstory. ASTRO BOT Rescue Mission looks incredibly good. Everything is really detailed with a sort of more realistic cartoon style. Everything is really smooth and nicely worked out. The developers really paid attention to even the smallest details, for example you have a shadow. It’s really fun to go through a semi-realistic world in VR and then look around and notice that you actually have a shadow that moves with you. Since you are represented as a robot with a VR headset, your shadow also represents that shape. The developers made good use of VR, with enemies coming up close making you back away instinctively. You also have to turn around fully and also look over edges, to discover secrets. The music in ASTRO BOT is upbeat and the sort of typical music you hear with platformers. Each level has a different track that fits with the environment. Sound is quite important in ASTRO BOT because the BOTS that you need to rescue yell at you to help them. So you can sort of hear where they are yelling from, which helps in your search to find them. This isn’t always easy, since they might be hiding behind something or under something, but without the sound, it would be a lot harder to find them. The other sound effects in the game are also pretty good and logical. 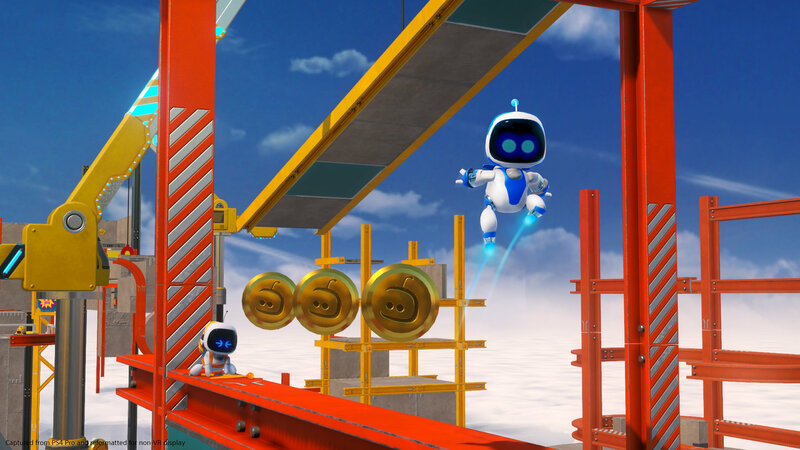 ASTRO BOT Rescue Mission is an action platformer where you team up with the Captain BOT, ASTRO, to rescue all the BOTS. The destroyed ship will help you find the planets that the BOTS have been thrown to, as well as keep track on how many BOTS you have rescued. Your controller is shown in the game and is even a sort of safe house for the BOTS. With ASTRO starting out in your controller and kicking every BOT you find into the controller after jumping out. You control ASTRO as you would any character in a normal platformer. The difference here is that you have a 360° view. So you actually have to look around while making ASTRO jump around. Sometimes you’ll have to actually peer over ledges or peek behind a wall to find hidden coins or BOTS. You can actually not move, you will automatically follow ASTRO if you move him up. This can sometimes be annoying as you might notice a bit late that you’ve missed something but then can’t go get it since only ASTRO can go back. Even if you fully look behind you, you can’t see the specific platforms anymore, since you’re too far away, so getting something you forgot is nearly impossible. ASTRO can do a double jump and hover with his ‘feet lasers’, which makes you be able to get to further away places. The lasers will also kill enemies and open boxes. ASTRO can also kill enemies and open boxes with his fists but of course, lasers are cooler. Enemies aren’t only aiming for ASTRO, there are also enemies that will target you; for example, there is a slime that will spit some slime on you. You can either avoid this from the start by leaning to the side or shake it off. So it’s not just ASTRO that you will have to keep safe, but also yourself. This is also not the only way you are able to interact with the game; there are objects that are in the way, that you will actually have to smash your head into, to be able to continue. After a while, you will also acquire accessories for your controllers. These you can use to help ASTRO out even more. For example, you’ll get a hook shot which you can use to help ASTRO cross over to a place that was too hard to reach before. You’ll also get shurikens which you can use to shoot enemies or build more platforms for ASTRO to jump on. As you get to higher levels they also increase in difficulty with you having to pay attention to even more different things. Which makes it even more immersive and fun than a regular platformer. 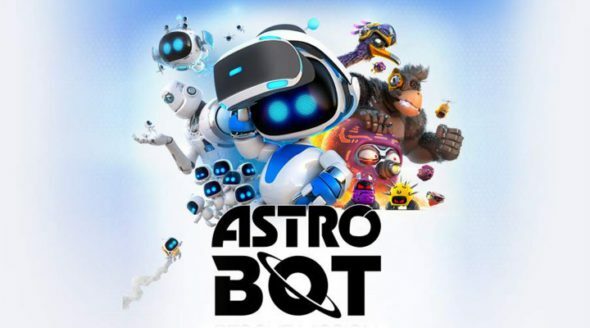 ASTRO BOT Rescue Mission is an incredibly fun game; it has the nice quirkiness of a platformer mixed with the good use of VR that takes the game to another level. JAPAN Studio did a good job making you actually feel part of the game. For people that like platformers and have a PS VR; ASTRO BOT Rescue Mission is definitely a must-have. If you find the price a bit too expensive and would want to try it out first, THE PLAYROOM VR comes with the PS VR for free and is also made by JAPAN Studio. 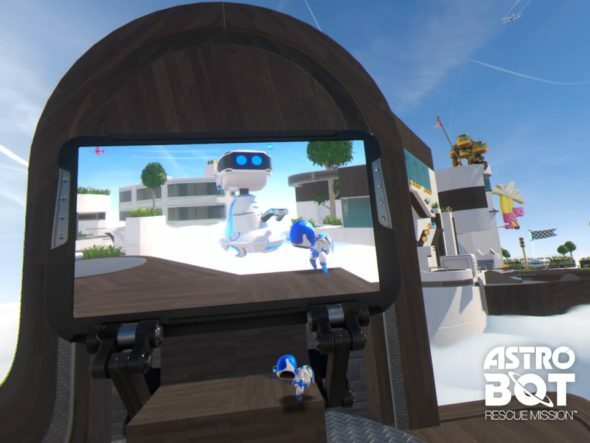 In THE PLAYROOM VR, there is one mini-game that is similar to ASTRO BOT, called ROBOT RESCUE, that you could try out first, to see if you like it and don’t get too motion sick.